Many homeowners dream of ditching their dated popcorn ceilings in return for a modern, smooth look. 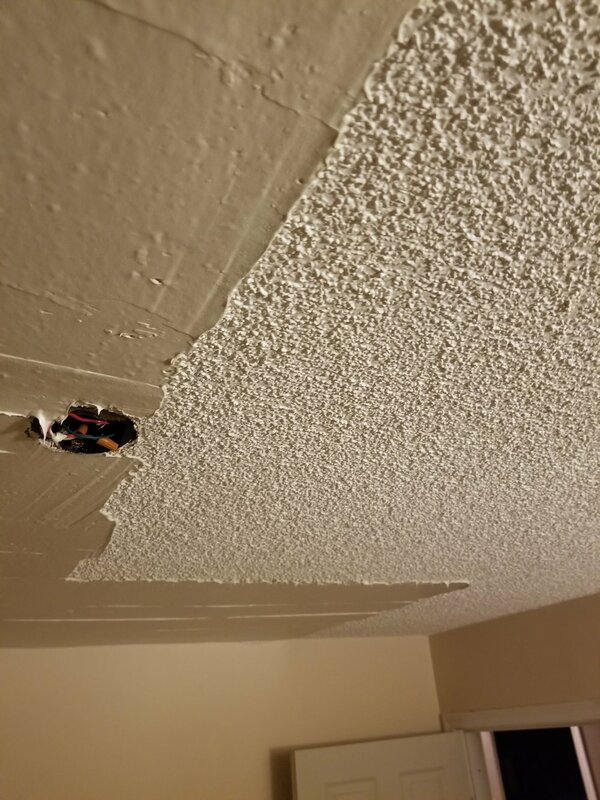 Whether it's just one room or your whole house, part of a larger renovation or just a one-off project, popcorn ceiling removal makes a massive difference in the look and feel of your home. In our textured ceiling removal process, we make sure your health and your belongings are unharmed, as we work quickly to transform your home from above. The average texture removal project will take 2-3 days to complete, so we're happy to work around your schedule. Contact us today to get a free quote on your popcorn ceiling removal!